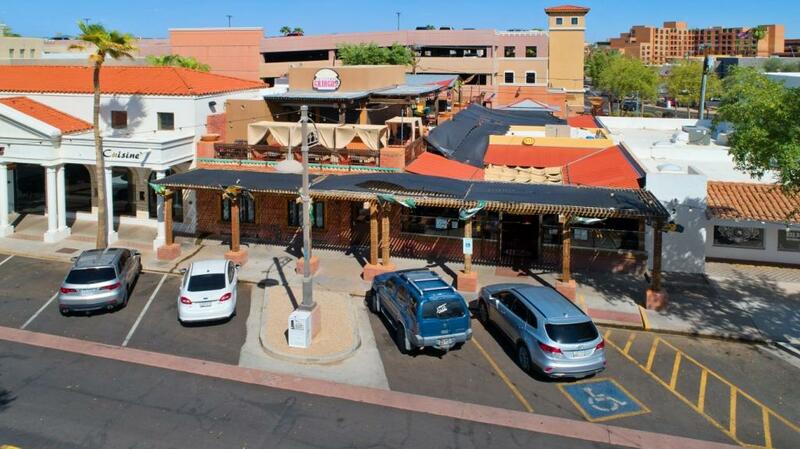 Old Town Gringos, a popular Mexican restaurant and bar in Old Town Scottsdale, has a new landlord following the sale of the nearly 60-year-old building for $2.23 million or $755 per square foot. The property at 4209 N. Craftsman Court in Scottsdale was sold by Store Capital Corp. (NYSE: STOR) to Craftsman’s Table LLC, a local investment group run by Herbert and Caroline Shipp. The Shipps own a number of other properties in Old Town Scottsdale under Shipp Holdings LLC, according to documents from the Maricopa Country Recorder’s Office. The 2,948-square-foot bar and restaurant was built in 1960 and includes 6,000 square feet of patio space. The restaurant still has a number of years on its lease, according to a press release, so the transaction shouldn’t substantially change any of Old Town Gringos’ operations. Store Capital purchased the building in 2015 for $1.7 million. Later that year, Dos Gringos, the restaurant and bar that occupied the space, closed. In 2016 it re-opened under new ownership — Glass Half Full LLC — as Old Town Gringos. At the time, the building underwent $1.4 million worth of updates including an upstairs cabana deck, rooftop bar and beer­ garden-style bar on the main patio. The property was marketed by Michael Achtman and Jennifer Eggert of Orion Investment Real Estate. Trent Goulette with Southwest Retail Group represented the buyer. Most of Old Town Scottsdale falls into an Opportunity Zone, which means people and companies can avoid taxes on investment in the area. Achtman predicts Old Town Scottsdale will see more growth and redevelopment in the coming years, which is a huge upside for the buyers.